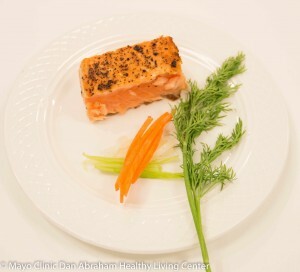 Try this tasty salmon dish from the DAHLC kitchen! It's healthy AND delicious! Cover grill with tinfoil. Spread and heat canola oil on tinfoil. Season salmon with herb/spice blend on both sides and put on tinfoil. Sear each side for about 4 minutes. Turn fish and continue cooking another 4 minutes. Internal temperature should reach 145 degrees. Remove from grill and serve immediately. Potatoes and asparagus pair nicely with salmon.